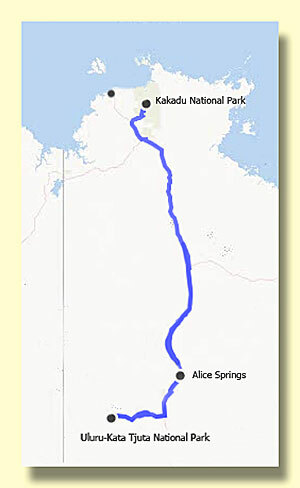 From Kakadu National Park south to Alice Springs the distance is about 900 miles. 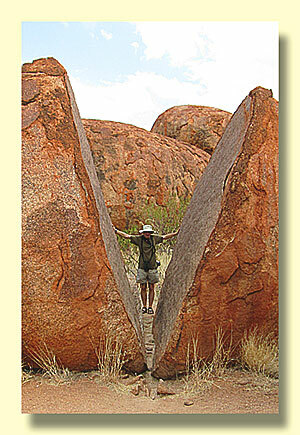 Alice Springs was a surprise to us. 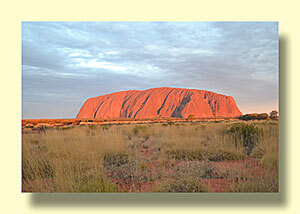 It's surprisingly visitor friendly, perhaps because so many tourists fly in here. 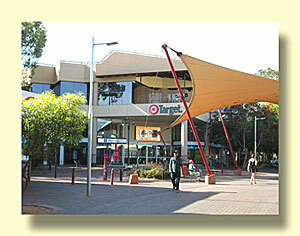 If you drive in from the north like us the little town is a bit of an oasis. 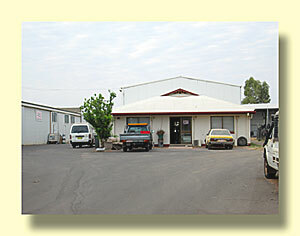 For us it was a good place to stock up and get the oil changed. 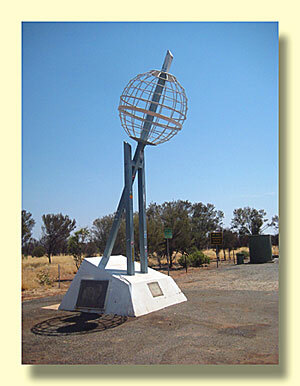 Our mechanic, Dicko, was a font of information about living in the outback, as well as Toyota Hyace rental rigs like ours. 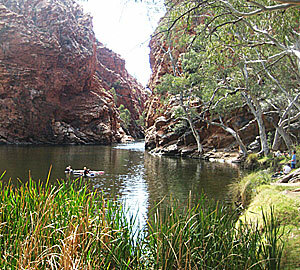 Our time in Alice Springs was time well spent. 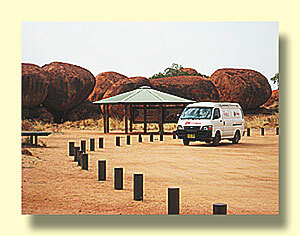 Parked at the Devil's Marbles, About 245 Miles North of Alice Springs. 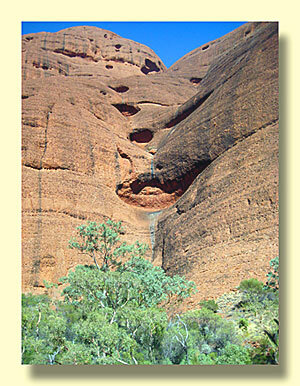 A good place to overnight. 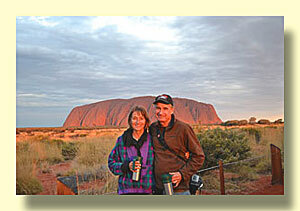 We decided to tour West MacDonnell National Park before continuing south to Uluru. 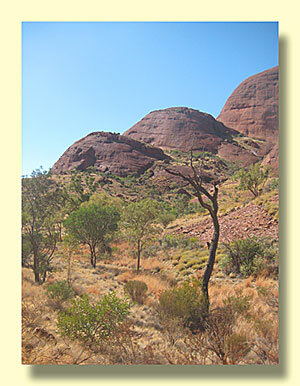 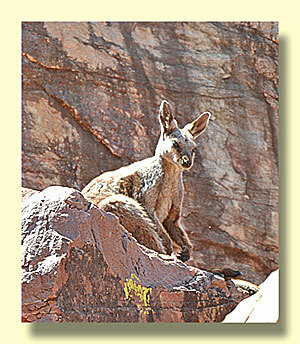 This park is west of Alice Springs and easy to access on a nice sealed road. 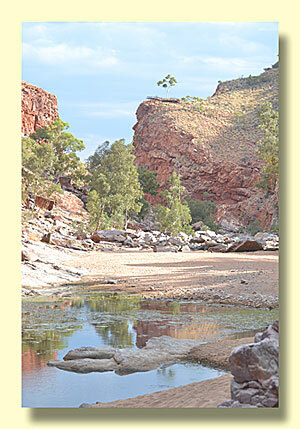 There are a string of waterholes at the foot of the range to the north of the road. 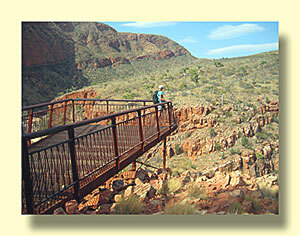 Each has it's own ambiance, and several have camping areas. 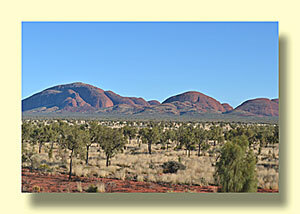 Uluru-Kata Tjuta National Park, theNational Park surrounding and including both Uluru (Ayers Rock) and Kata Tjuta (Mt Olga), is probably the top destination in the counrty for foreign tourists. 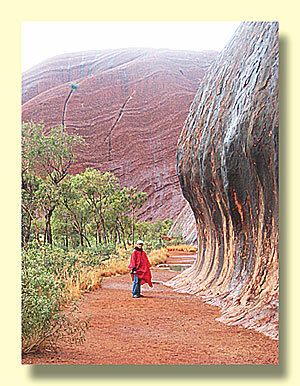 Most of these people fly in to Alice Springs and then use buses, rental cars, or rental vans to visit the park which is 300 miles to the south. 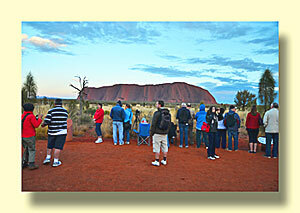 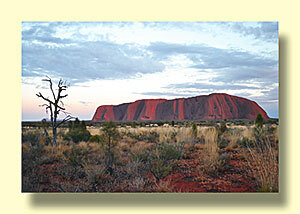 Although we enjoyed Uluru, we also liked Kata Tjuta, another nearby rock. 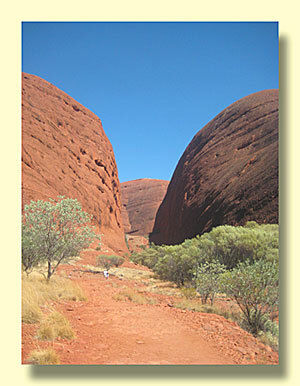 It had a great hiking route called Valley of the Winds Walk. 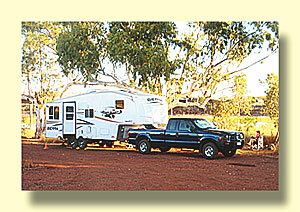 Although they are unusual here, you will see a few American style Fifth Wheel RVs in Australia.